Charles S. Cadwell started his telephone career with Automatic Electric in 1920. In 1925, he became office manager of the sales department. Subsequently he was placed in charge of government negotiations and foreign sales. In 1940, he was elected vice president, Automatic Electric Sales Corp., and he was given the added duties of vice president, Automatic Electric Co. 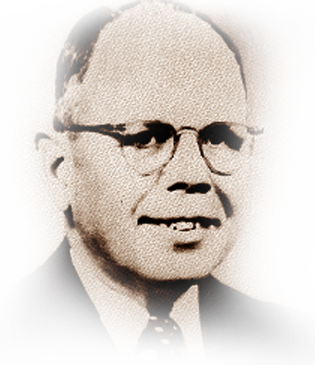 In 1945, Cadwell was elected vice president and general manager, and the following year executive vice president. He was elected president, Automatic Electric Co., in 1947, becoming head of all Gary group manufacturing, engineering, sales and engineering activities. He was elected president, International Automatic Electric Corp. in 1955, and vice president, Automatic Electric Company. Illness forced Cadwell’s early retirement in 1958. He served on USITA’s board of directors, was the first president of The 312 Chapter, ITPA, and promoted the organization of the Automatic Electric Pioneer Club. He wrote the original draft of the Pioneer Creed and had been chairman of the Hall of Fame Honors Committee since its founding until 1971, devoting countless hours to assure its success. He died in 1972.